The length and height of the Taxi usually challenge campground hosts as they look for a spot that will fit. Several times we’ve had to cut branches to back in, or hold them aside as we slide past. 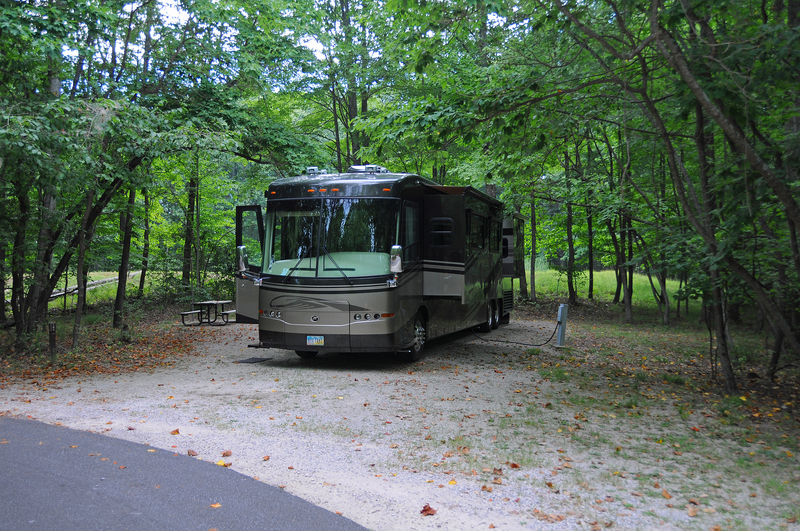 Our nose is often right at the edge of the drive, risking a swipe from other campers pulling large fifth-wheels or boats. Look at this site! There’s probably 15 feet more behind us, and we’re a car-width off the pavement. Maybe more than its size, we’ve loved the tall trees on all sides and the distance to the next site. A little bonus: behind us, where the ground ramps up, there’s a small pond. At first we were afraid it would harbor mosquitos, but the campground host assured us it was not so. True, no mossies. 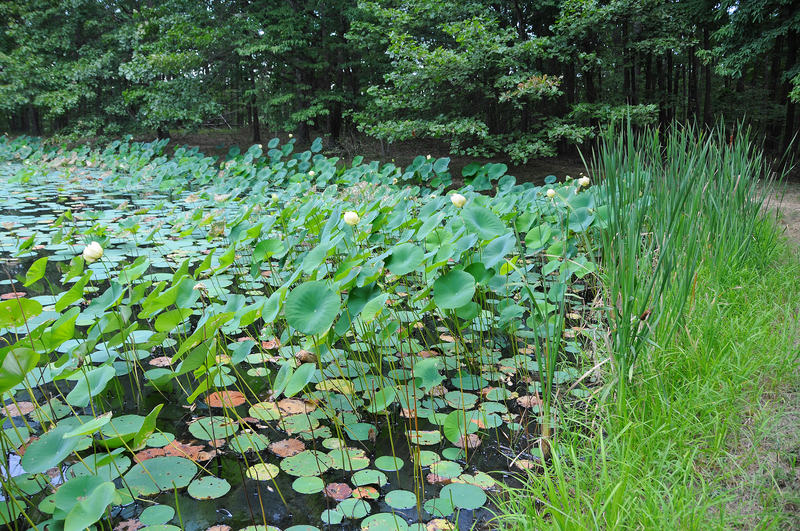 And look at the lily pads. I’ve never seen them grow up out of the water. A nice weekend spot. We’ll move along tomorrow. Maybe stay in a brand-new state park called Starve Hollow. We’ll know for sure tomorrow evening!